Today we’d like to introduce you to Holly Eve. Thanks for sharing your story with us Holly. So, let’s start at the beginning, and we can move on from there. I have worked as a makeup artist in film, television, and print for many years. From runway shows in New York City to film sets in Los Angeles, I have seen every fad in dieting, skin care, and workout routines. Despite new, up and coming trends, two things that have continued to grow are the demand for all-natural products and ingredient transparency. Several years ago, I began my search for an all-natural, effective deodorant. This search began after a close friend was diagnosed with stage four metastatic breast cancer. She was only thirty years old. She felt her diagnosis was directly connected to the chemicals we interact with on a daily basis, be it food, health products, or beauty products. The number one thing she urged me to stop using were deodorants and antiperspirants that contained aluminum. 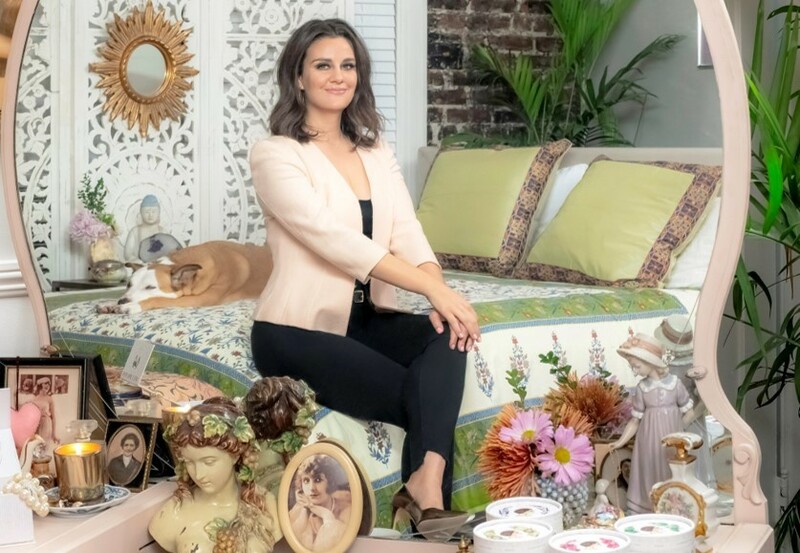 Her warnings, along with my own developing health problems from Polycystic Ovary Syndrome (PCOS), prompted me to make positive changes in the everyday products I was using. Part of healing my PCOS was eliminating chemicals that disrupt normal hormonal function. I began researching the effects of chemicals found in “conventional” antiperspirants—products that my friends and I had been using since our adolescents. I was shocked to discover that the chemicals I had been exposing my body to were actually doing harm by preventing my body from naturally regulating itself. I also began reading studies linking antiperspirants and deodorants to breast cancer. I was astonished to discover that, in the United States, only eleven chemicals are banned from being used in beauty products. Meanwhile, over a thousand chemicals are banned from the beauty industry in the European Union. With this newfound information, I pledged to never use a synthetic antiperspirant again. After years of searching and dozens of failed products later, I exhausted all attempts of discovering a product that was both effective and chemical-free. My answer came when I discovered the simple yet powerful use of lemons as deodorant. After dealing with the inconvenience of cutting up lemons on a daily basis to deodorize my underarms, I discovered a way to turn lemons into powder. In my small New York City apartment, I started experimenting with natural ingredients to make my DIY deodorant more effective. Knowing my neighbor, Jeremy Clayre, was an Oxford-trained chemist, I asked for his help. He agreed and together we worked on perfecting my formula. After months of experimenting and researching, I developed the perfect formula—it was all-natural, made with limited ingredients including starches, botanicals, and essential oils, which kept me dry, naturally killed my odor and allowed my body to naturally regulate itself. I knew I was onto something when my friends and family were calling for more once they ran out. It was then that Madame Lemy was born. I used my network as a makeup artist to promote my deodorants, and I was able to get my products to many A-List celebrities who started posting about it on social media. I quickly started getting PR from some pretty big publications. One month after establishing my company, my friend lost her battle to breast cancer.Tragically, that same month, another good friend of mine was diagnosed with breast cancer. She was also only thirty. Shortly before her diagnosis, she made the switch to my deodorant after years of using synthetic antiperspirants. She said she wished a natural product like this had existed sooner. Devastated by the news of her diagnosis, I asked what I could do to help. She responded by asking for more deodorant so she would have it on hand while going through chemo. She motivated me to not only make my product available to more women but to also educate women about eliminating products containing harsh chemicals that the body was never meant to endure. And I was going to do whatever it took to do that. That’s why our mission at Madame Lemy is dedicated to my dear friend Stefanie LaRue who lost her battle to breast cancer 12 years of bravely fighting. She inspired me in more ways than I can count, and I hope to pass that inspiration on to women everywhere through my company. I don’t have a background in business or chemistry, so everything was very (and sometimes still is) DIY in the beginning. I had the basic ingredients down, but it still wasn’t as effective as I wanted it to be. I got really discouraged in the beginning when I would research natural ingredients, add them to my recipe, and test my deodorant only to find that it didn’t work. I also developed multiple rashes in the process. Every day I would try my new creation and go for a long run during the hot and humid summer in New York City. I kept failing, but I stayed focused, and within a few months, I created a formula that really worked! My biggest obstacle now is learning how to be a better businesswoman day by day. Growing up, the word “entrepreneur” was not a term anyone commonly heard. I never had the thought that I wanted to be an entrepreneur or own a business someday. I never took a business class until starting my company. I am, however, a creative at heart. I think in colors and shapes, ideas and product concepts. A LOT of bills that just keep popping up. It can get really overwhelming, but I am really fortunate to have a lot of great, experienced mentors who teach me how to think differently and organize my day to focus first on sales and running a business. And when all of those tasks are accomplished, then I can work on my creative ideas. 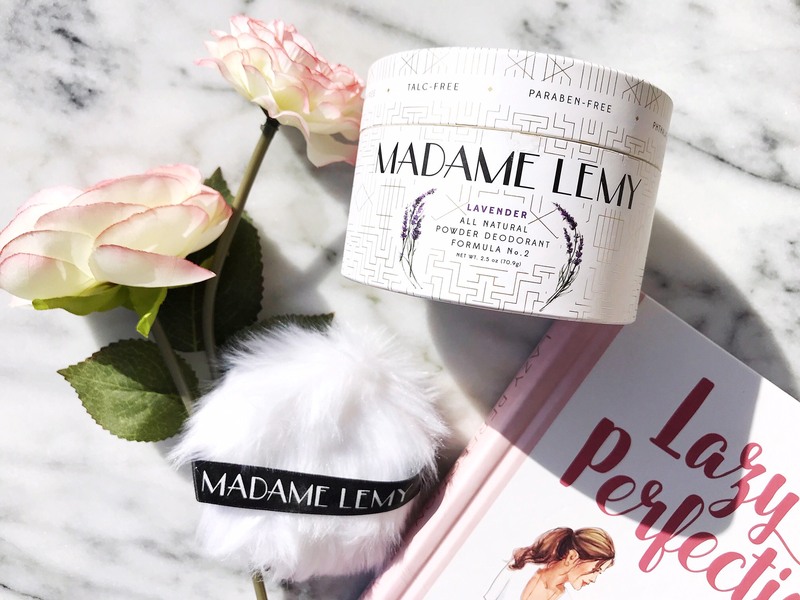 Our mission at Madame Lemy is to provide a safe and effective alternative to heavy chemical deodorants with the hope of making a positive impact on the health of consumers. 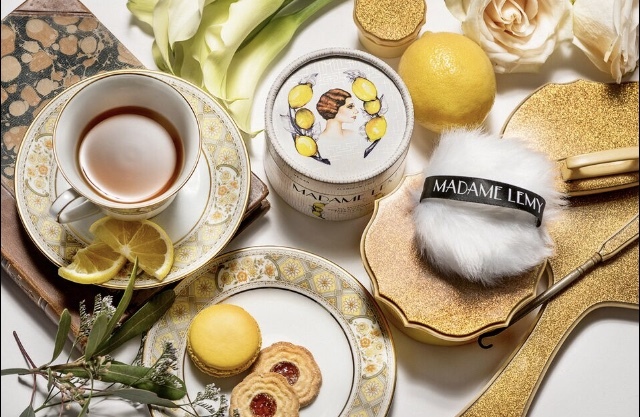 Madame Lemy is committed to maintaining a low carbon footprint by limiting our use of plastics and sourcing materials made from recycled paper. 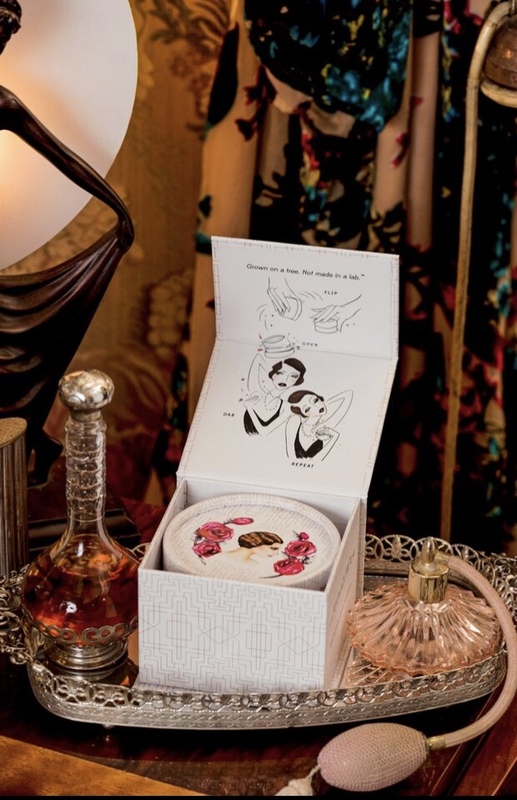 Our packaging is designed to be reusable and refillable after the product runs out. With this, we hope to lower our company’s impact on the environment and inspire other companies to follow suit. 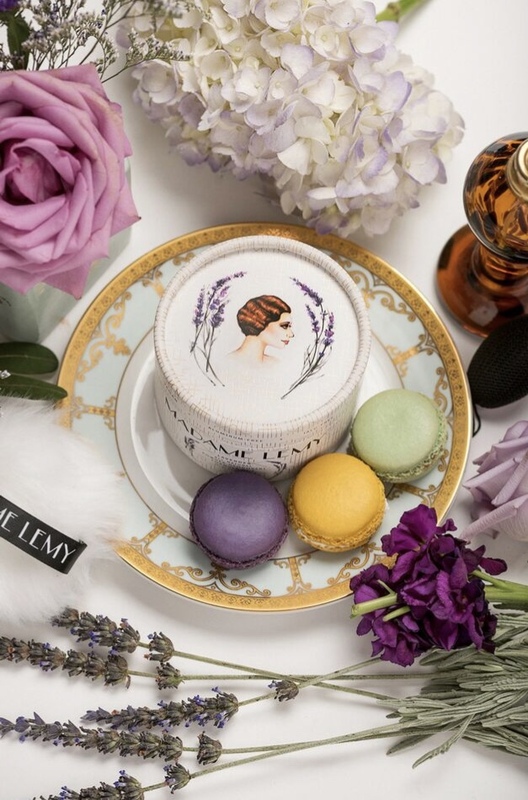 There isn’t anything else like Madame Lemy on the market. To begin with, I was strategic about starting a high-end line. While working as a makeup artist for over a decade, I would always leave on the counter very high-end products because clients were impressed by them and expected it. At the time, I did not realize that all of those high-end products, though pretty, were filled with carcinogenic, toxic chemicals and most were tested on animals. I no longer wanted to be a part of that narrative and ventured off to start my own company. I took inspiration from that experience and came up with the idea to merge high-end packaging with all natural ingredients, something I had not seen done with deodorant before. I made it a point to hire as many women as possible. My business lawyer, artist, graphic designer, social media manager, reps and manufacturer are all women. Using my business to give other women opportunities and a community is very important to me. I have formed friendships with every person I have hired. I don’t fully separate my work life and personal life; we are all in this thing called life together, and I think people do better at their jobs when they know their boss is invested in them as a person as well as in the work they do. I am proud to see my work and my company making a social impact. Selling a product and making money is great, but I knew very early on that this was much bigger than just profit. I use my company as a platform to educate people on the importance of switching to safe, natural skin care products. It amazes me to know that there are still so many people that are unaware of how toxic and carcinogenic their everyday products are. The power of marketing has constructed that narrative. We as consumers trust that if something is on a shelf, it has been tested, regulated and deemed safe to use. That just isn’t the case. 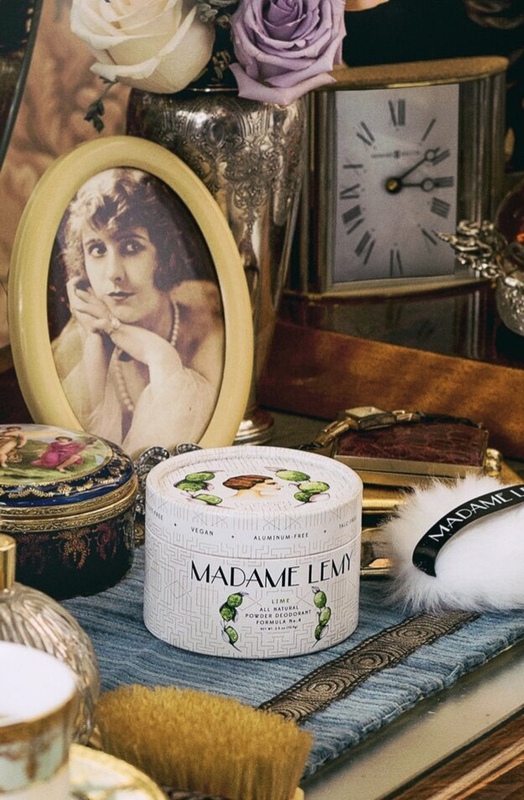 Madame Lemy is both vegan and cruelty-free certified. As an animal lover and advocate, I will never use animal ingredients or test on animals. The safety and treatment of animals are so important to myself and company that I have partnered with the phenomenal nonprofit Rescue Freedom Project (formerly known as the Beagle Freedom Project) to help bring an end to animal testing. My company would not be where it is today without the Small Business Development Center. They provide free marketing, financing, and business-related activities to local entrepreneurs. I am so grateful that I not only have a company that provides me with a powerful platform with which to help change the beauty industry, but also that I have a dedicated and talented group of mentors, peers, family, and friends that have supported me throughout my journey. I would like to give a special thank you to Jeremy Clayre, Tony Vargas, Albert Napoli, Andrew Cohen, Julie Pantiskas, Lawrence Johnson, Salvatrice M. Cummo, Lance Zeck, Marty J. Stewart, Donald J. Loewel, Lori Williams, Leti Garcia, Annie De Bruyn, Shushan Barsegyan, Dessie Jackson, Karen Báez, Lila Walker, Lindsey Heisser, Alex Ander, Ericka Verrett Teresa Walker, Nicky Ellie. And lastly all of my friends and family who believed in me and continue to encourage me. Sometimes we just need a little reminder from our loved ones about why we started and why we must keep going.